£3.00 per child for a special Christmas meal! This Christmas could be so much more special and exciting for children in the developing world if they were to be provided with a special Christmas day meal by The BIG Meal programme. Many children's Christmas experience is just another day facing the grind of poverty and the pangs of hunger which affect their lives - "same old, same old". However, it is possible for you to help a child enjoy Christmas Day by simply donating £3.00 to Mission International's The BIG Meal. To support The BIG Meal please use the options on the right hand column of this page. To see more on The BIG Meal click here. 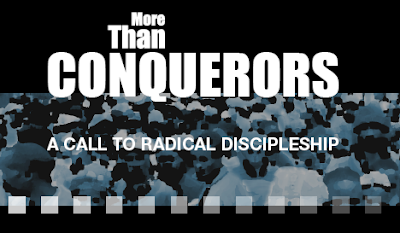 More than Conquerors - DVDs now out! DVD accompanying Simon Guillebaud's new book. Our friends at Great Lakes Outreach have some wonderful stories to tell. The book and DVDs will give some great insight into their work and will inspire you to serve God as you are intended to do. The video series to accompany Simon Guillebaud's book are now on release. 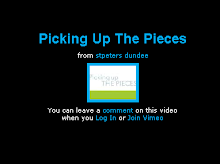 To get hold of a copy click here. Seems like this message could be the central theme over the next couple of months. The media managers from shopping outlets in the high street and on-line will want to tell us what it is that they have that we need to have and how inexpensively we can have it. Our western society has become bogged down in the kind of materialism that developing world families can only dream about. Just recently whilst in Burundi with a mission team we came across a woman with impacted wisdom teeth. It was clear that she would need specialist surgery and so we took her from her rural village to a good hospital in the capital city. While we waited for the surgeon we spent just a couple of hours at the shores of Lake Tanganyika. This woman was so overwhelmed by her visit, she drank some Coca Cola and enjoyed the cool breeze and watched the people as they swam in the water. She thought that she had "reached heaven already". This Christmas maybe together we can bring some smiles to many more of the faces of those whose lives are a constant grind to survive. Even a small donation of £10 can allow Mission International to bring joy to a family at Christmas time. 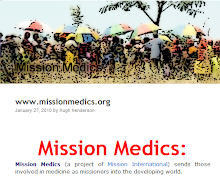 If you would like to support Mission International as we bring smiles to faces around the developing world then please use the options on the right hand column of this page. Mission International's Mighty Meals project seeks to find a meal a day for needy kids whilst they are at school. The opportunity to have an education is often missed if potential pupils are not able to find a meal each day. 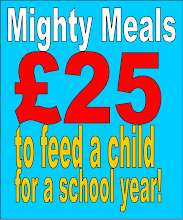 The Mighty Meals project makes sure that a child who cannot afford a meal is provided with food each day whilst they are at school, this costs only £25/year. If you would like to support this visit our Mighty meals blog. The BIG Meal provides a special meal on Christmas Day for needy kids in the developing world. For just £3/child Christmas day can be changed into a special day and remind those for whom no-one cares that Jesus cares for them. If you would like to provide a meal for a child on Christmas Day please visit our Big Meal blog. 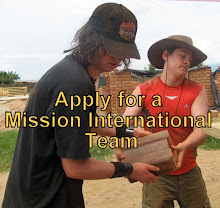 If you would like to reserve a place on one of Mission International's teams during 2010 then please get your application form in soon. Mission International has also been asked to raise a team of builders to help build a school in Rwanda, if you are interested as a skilled tradesman or would like to labour or help in any way please let us know. 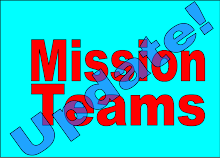 Application forms are available on the teams update blog page a link to which you will find on the right hand column.